To date, the expansion of industrial agriculture into ape habitats has been more destructive in Asia than elsewhere. In view of the large agricultural concessions in the Congo Basin and West Africa, however, ape habitats in sub-Saharan Africa may soon experience similar pressures. These findings emerge from the analysis of a number of datasets, including the Land Matrix—an independent global land-monitoring initiative—and the Global Forest Watch online platform, which reveal the extent to which agricultural concessions overlap with protected areas—pointing to poor governance in land-use planning and allocation. Agro-industrial development of crops as diverse as cacao, cotton, rubber, and sugarcane affects the integrity of entire ape ranges. Oil palm—the most rapidly expanding industrial crop in the world—has been cultivated for decades in Southeast Asia; therefore, it has been studied in greater depth than other crops. Its nascent expansion in Africa calls for urgent action to ensure that local ape habitats are spared the disastrous effects that its development has had on the ape habitats of Asia, such as those linked to habitat loss and fragmentation, hunting, and intensified conflict between ape and human populations. 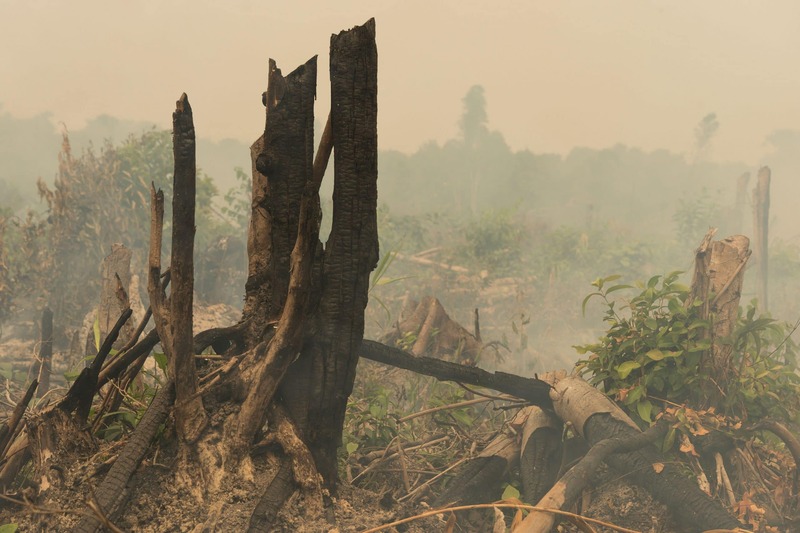 Three case studies—on the island of Borneo and in Cameroon and Liberia—explore the evolution of deforestation as driven by industrial agriculture. In all three cases, industrial agriculture was established under colonial administrations, although its most substantial and most sustained growth has occurred in Borneo since the end of colonial rule. More recently, Cameroon and Liberia have witnessed an increase in the rate of concession allocations. In Liberia, where almost 95% of the area suitable for oil palm lies in ape ranges that are unprotected, a recent agreement with Norway for results-based development aid holds some promise for ensuring that decision-making related to agricultural expansion takes into consideration areas of significant biodiversity, including ape habitats, and local communities.